TWIN PEAKS: SEASON 2 DVD SET. OVERVIEW: Twin Peaks was created by David Lynch and Mark Frost. 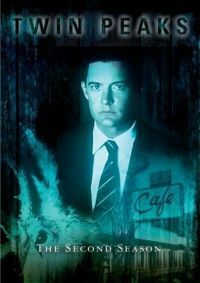 The show was set in the fictional town of Twin Peaks in northeast Washington state and tells the story of FBI Special Agent Dale Cooper and his investigation of the murder of a popular local teenage schoolgirl, Laura Palmer.This is season 2 of the series, and the last season. Season 2 "Log Lady Introductions"
2007 Paramount DVD. Sealed and new.